At least one senator optimistic about what could happen this week when lawmakers gather to debate and vote on immigration amendments on the Senate floor. WASHINGTON — At least one senator is optimistic about what could happen this week when lawmakers gather to debate and vote on immigration reform. 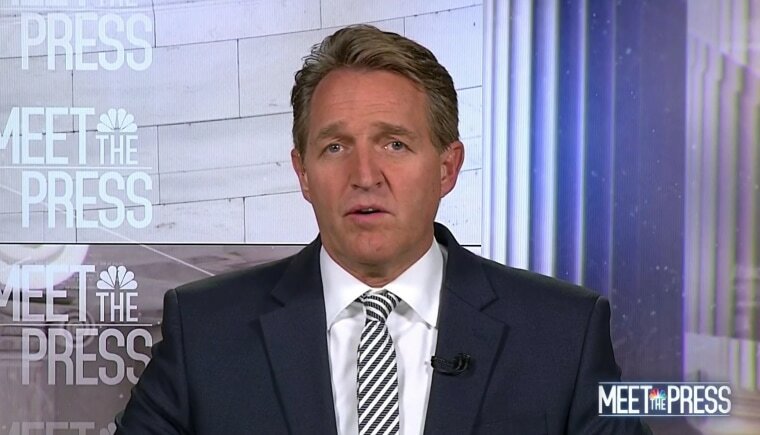 “I do think that we can get something done this week,” said Sen. Jeff Flake, R-Ariz., one of several members of Congress who has been trying to negotiate a broad immigration compromise. “We're going to have something in the Senate that we haven't had in a while. It's a real debate on an issue where we really don't know what the outcome is going to be." Senate Majority Leader Mitch McConnell is expected to offer up a bill to the floor to ignite a free-flowing amendment process, where different senators will have the opportunity to offer immigration proposals and hope they clear the 60-vote threshold to pass. McConnell promised the open amendment scenario in January as part of a deal with Democrats to end the government shutdown. The key sticking point is the fate of so-called "Dreamers," the children of undocumented immigrants brought into the country without authorization. Flake reiterated that even if some form of immigration legislation does not make it through this week, “these Dreamers need to be protected." If immigration legislation does make its way through the Senate, its future in the House is very uncertain. House Speaker Paul Ryan has indicated he is willing to put any immigration bill supported by President Donald Trump up for a vote, but he did not make the same promise to Democrats as McConnell at the end of the shutdown. Flake on Sunday said immigration framework recently released by the White House “was actually helpful” and he remained positive on an eventual outcome. “I still think that if we put a good bill to the president, that has the support of 65, 70 members of the Senate, that the president will accept it and the House will like it as well,” he said.